Such a beautiful and peaceful garden too. What a beautiful place to enjoy the last days of summer! Simply gorgeous! Where's the wine ....... or coffee? And a book on that table - wonderful! That looks very inviting. A lovely garden. What a beautiful lawn and garden! 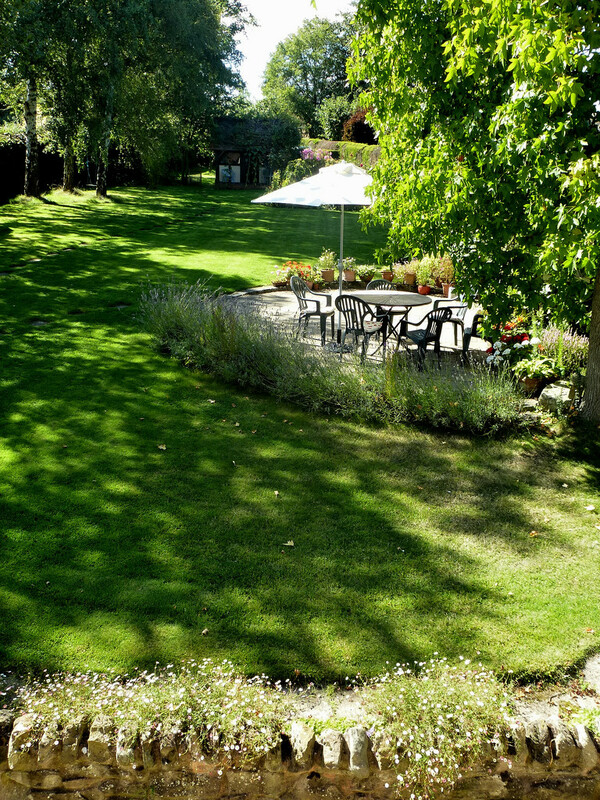 A lovely garden to spend time in...gardening or relaxing.